If you have any questions regarding your initial consultation, feel free to call us toll free at 800-233-4327 and we’ll be happy to answer them for you. Our initial hearing evaluations are complimentary and we suggest you plan on about an hour for the appointment. All new hearing evaluation patients may print and complete the form below and bring it with them to their initial appointment. Or, you may complete the form when you visit our office. 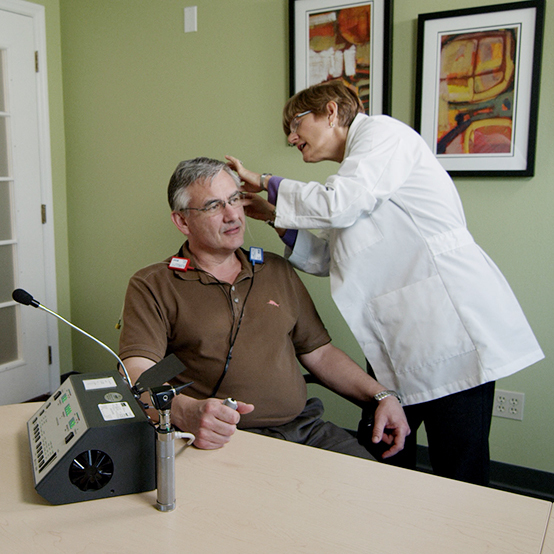 At Woodard Hearing Centers, we want to provide you with the best hearing healthcare and hearing technology available. Our team of experts focus on hearing preservation, conservation and amplification during your appointment. Rather than just giving you general hearing aids and sending you on your way, we want to work with you over time to make sure your hearing is as good as it can be. For more information on what to expect at an appointment with us, visit our Patient Information page or Contact Us to speak with someone directly.